Stockman was convicted of masterminding a scheme to divert more than $1 million in charitable contributions to pay for campaign and personal expenses. 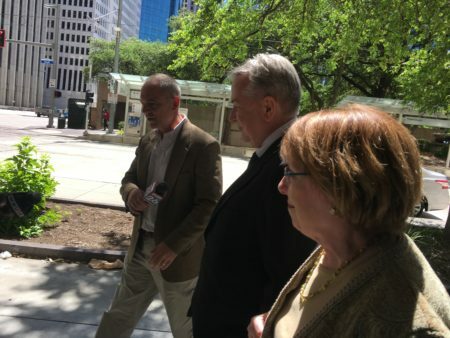 This file photo shows former Congressman Steve Stockman (center) entering the federal courthouse in downtown Houston for his arraignment on felony charges. Former Houston-area Congressman Steve Stockman was sentenced Wednesday to 10 years in prison on federal corruption charges. Stockman was convicted, alongside one of his associates, in a 28-count superseding indictment with mail and wire fraud, conspiracy, making false statements to the Federal Election Commission, making excessive campaign contributions, and money laundering. 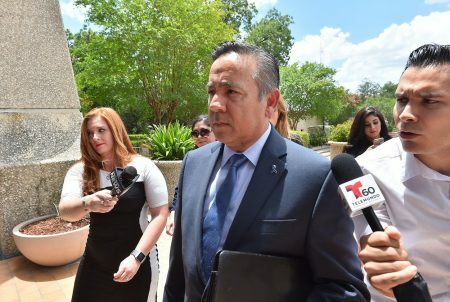 The former Republican congressman was also charged with filing a false tax return that concealed his receipt and personal use of the fraudulent proceeds. Stockman solicited approximately $1,250,000 in donations based on false pretenses, with a proportion of the funds paying for his own, and his associates’, personal expenses and interests. Under federal guidelines, Stockman could have received up to 14 years. 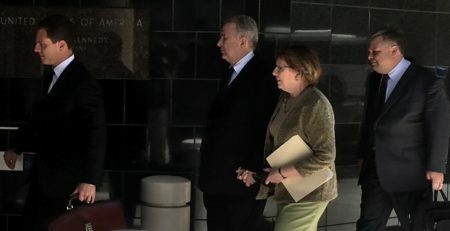 “We were prepared for the worst and prayed for the best, and this was not the best, but it definitely wasn’t the worst, so, you know, it is what it is,” his wife, Patti Stockman, said outside the courthouse. Judge Lee Rosenthal took the state of Stockman’s health into account. The former congressman suffers from diabetes and related illnesses. In addition to prison time, the judge sentenced him to three years’ probation and ordered him to pay more than $1 million in restitution. Stockman plans to appeal.